Regina joined RE/MAX Heritage after 16 years in the public sector as a Paralegal/Risk Manager. She grew up in Kansas City’s Northland graduating from North Kansas City High School. She completed her undergraduate studies at UMKC, and her graduate work at the Webster-KC Campus. 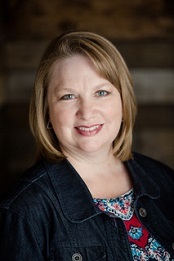 Regina now resides in rural Johnson County, Missouri with her husband and business partner Michael. Photography has been her passion since high school; however, fly fishing is taking a close second, because “there is no such thing as an ugly trout stream.” Spending time with her family camping is her ideal vacation. When it comes to buying or selling real estate, Regina feels she can provide her best service through strong personal relationships with her clients. By clearly understanding client needs and wants, she can ensure that their experience is positive and fulfilling. She believes, that by providing unique and personalized service to the client, any bumps or concerns that will inevitably pop up can be managed comfortably through client education so they can make an informed decision.